My past three posts have included shorebirds looking quite relaxed while tucked into their classic resting pose. To change things up a bit, here's a willet shaking out its feathers, and looking a bit more unkempt. 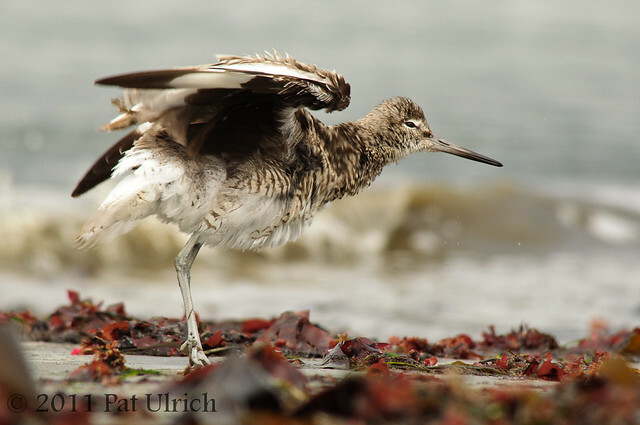 View more willet images in my Willets Gallery.